The branding identity of Thua Thien– Hue tourism was announced on May 4 in a bid to build a distinguished brand for Thua Thien – Hue tourism. Deputy Director of Thua Thien – Hue provincial Department of Tourism Nguyen Van Phuc said that the provincial tourism identity includes a logo designed by Nguyen Thien Duc from the Hue University of Arts and a slogan created by Nguyen Phu Duc, former Deputy Director of the Vietnam National Administration of Tourism. 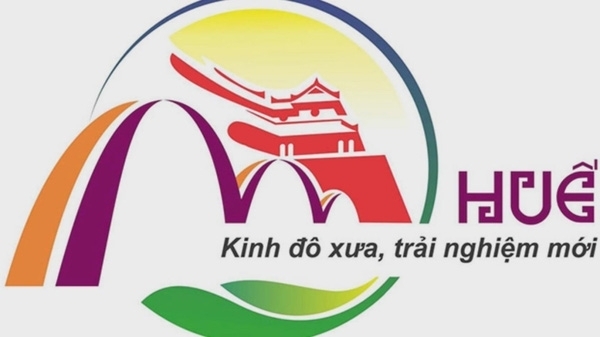 The logo is a combination of well-known images in Hue, including the Lau Ngu Phung (Five Phoenix Pavilion), the Truong Tien bridge, and the Huong River, while the slogan “Hue – Kinh do xua, trai nghiem moi” translates as ‘Hue – ancient capital, new experience’. 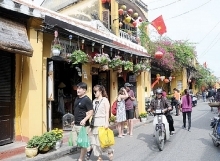 The announcement of the provincial tourism branding identity will contribute to promoting the development of tourism in Thua Thien – Hue, while affirming the attractiveness of the ancient capital. 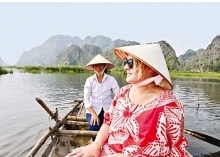 Tourism has been identified as a key economic sector in Thua Thien– Hue as it has made significant contributions to the province’s budget and socio-economic development. The province welcomed more than 1.5 million visitors in the first four months of 2018, up 40 percent over the same period in 2017, including 600,000 foreign visitors, up 70 pct over the same period last year.